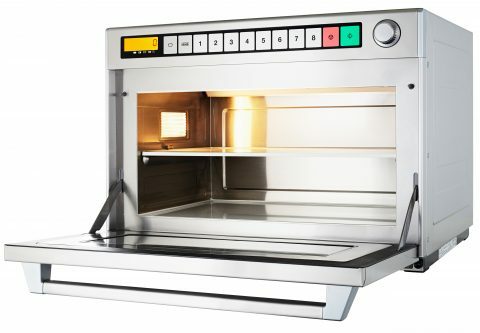 The Panasonic NE-1880 is a large capacity powerful microwave oven designed to handle high throughput. It is suitable for use in institutional catering situations such as hospitals, staff canteens, industrial catering, schools and colleges, large restaurants, hotels, and pubs. It can handle a high rate of multi-portion and multi-single portion activity.